While Alzheimer’s can often be misdiagnosed or ignored as signs of old age, this wasn’t the case for my mom, Suzy, she was only 54 years old. I was 21 years old and playing baseball at the University of Washington at the time of my mom’s diagnosis. I felt devastated and overwhelmed with what my family’s future would bring. Worrying about how my family would navigate next steps, I questioned giving up baseball – wanting to simply spend time with my mom. Convinced by countless calls from family and friends (mostly from my dad), I put my head down and continued to play, knowing it was what my mom would have wanted. 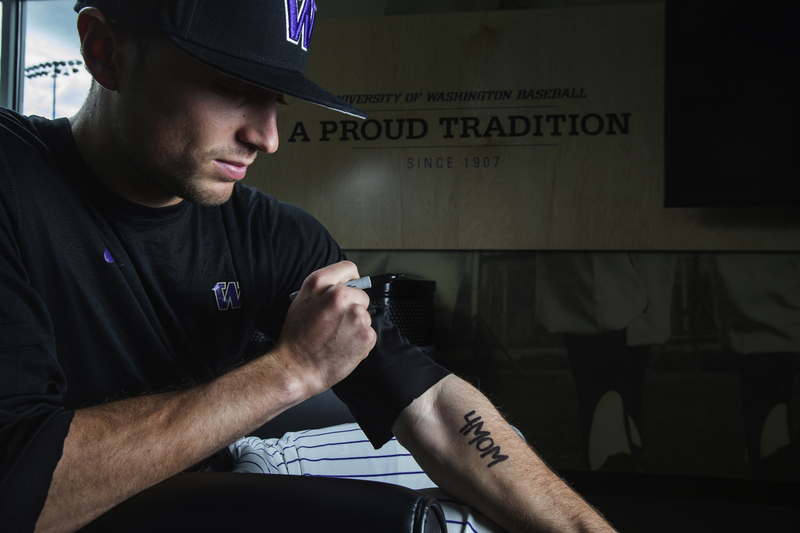 My dad’s encouraging words… “Play for your mom, that’s what she would want” led me to writing 4MOM on my forearm before a game and nothing has been the same since. The overwhelming support from my coaches, my teammates, opposing teams, friends and family helped me to realize the power I had to spread the word and educate about Alzheimer’s – my mom’s diagnosis inspired me to start the 4Mom Charity. During my journey I have come to learn these statistics: two-thirds of the more than 5.5 million Americans living with Alzheimer’s are women, and more than 9 out of 10 of the more than 15 million Americans providing care and support for someone with Alzheimer’s are also women. Learning that this devastating disease places an unbalanced burden on women like my mom and led me to want to make a difference. My partnership with Rivet Revolution has been incredible not only in raising much needed funds for research, education and community support, through the sales of 4MOM bracelets, but has ignited the fight to raise awareness that Alzheimer’s is devastating to the families affected. Our family and the 4MOM team has a community of support in the fight to end this awful disease and we have been working hard to promote our cause. We are grateful to Alzheimer’s Greater Los Angeles for partnering with 4MOM in this journey. While there is always more that can be done to help the Alzheimer’s community, there’s no doubt that we are making a significant impact. Please join me in the fight to end Alzheimer’s. 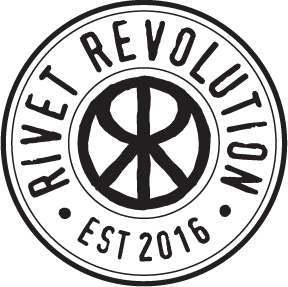 Please buy and support Rivet Revolution’s 4Mom bands.